Welcome back to Toy Aisle, io9's weekly roundup of the best toys in this galaxy (and any other). 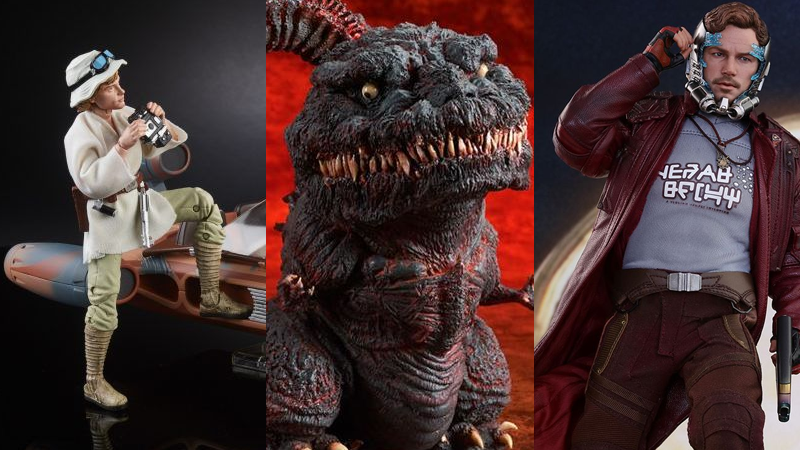 This week, a bizarro Godzilla figurine, a very slick Star-Lord figure, a fancy Star Trek lamp, and maybe more than a few new Star Wars toys, thanks to Celebration Orlando. Gird your wallets and check them out below! It’s one thing to have a car named after you, but having a car that looks like a character you played? That’s probably the greatest honor an actor could ever hope for. Garrick Hagon might not have an Oscar for his work on Star Wars: Episode IV - A New Hope, but thanks to Star Wars fan voting, his character, Biggs Darklighter, is now immortalized as a Hot Wheels character car, complete with a mustache bumper on the front. It’s $10, but only available to those attending Star Wars Celebration this week. Bummer.